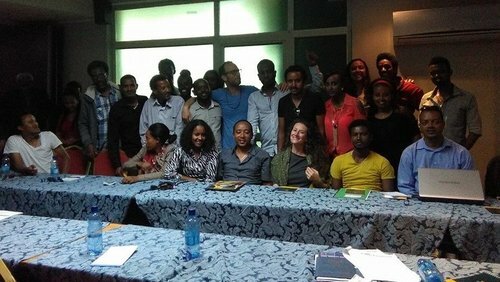 As we face the challenges of economic, social, cultural and political development in Ethiopia, it is refreshing to see organizations that use creative means to educate their peers and the community at large and activate citizens. We strongly believe that the Addis International Film Festival can be a useful instrument to make a difference, to raise awareness and inspire. Our continuing association and support to the Festival demonstrates our commitment to promoting the film industry and to give young people the best opportunities to learn from industry-leading experts who will attend the Festival. We believe the Addis International Film Festival has immense potential in bringing out latent talent on stage, particularly in film making, but also in attracting a large number of regional and international visitors. We take this opportunity to congratulate the supporters for their initiative in making the Festival as one of the most high-profile and not to be missed events this year. This year we will present more and more films including short and feature documentaries, submitted by film makers from around the world. We celebrate and congratulate the extraordinary group of talented filmmakers who have employed their craft and skills in the exploration of social, cultural, economic and political subjects. We are extremely excited for this year’s Eighth Annual Festival, and for all of the years to follow. We believe that the Addis Film Festival provides one more outlet to local and international documentary filmmakers.